We’ve been getting into the Christmas spirit around my house! Dorothy drags around a shopping sack full of little bits and projects she’s crocheted or sewn and then wrapped in homemade paper. She’s amazing! 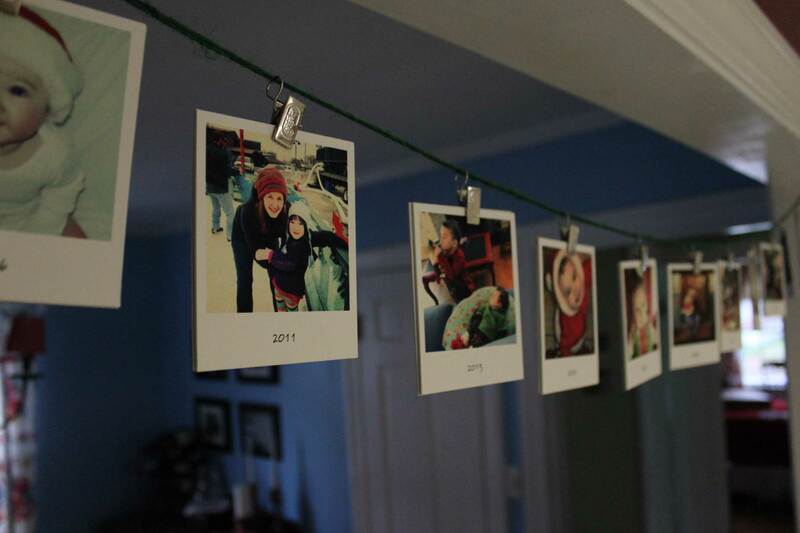 I ordered favorite photos from our past Christmases from Fotobar, which makes Polaroid-style prints on chipboard. They make a sweet and simple decoration clipped to green twine. We’re all enjoying the memories of our previous holidays, and our snapshots of all three kids as babies in the same Santa suit are particular favorites. Everything else is a mess! 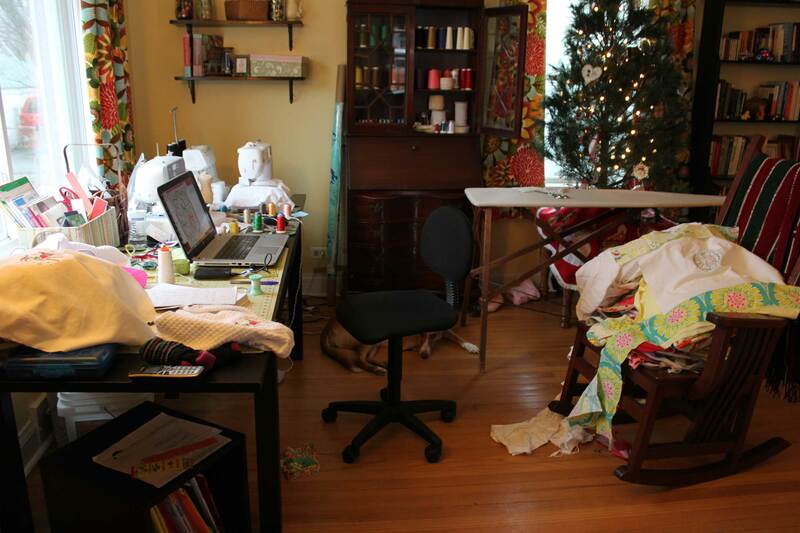 I’ve got piles of fabric and snips of yarn everywhere. 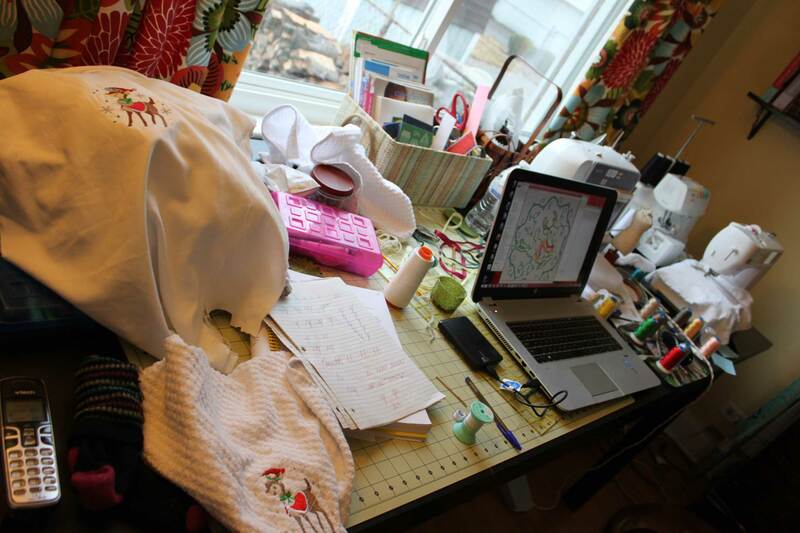 Hostess gifts, mittens for a cousin, homeschool papers, new Christmas pillows for the living room…it’s all somewhere in the disaster of my workspace and seems to be seeping into the rest of the house as well. Tis the season, right?